Gov. 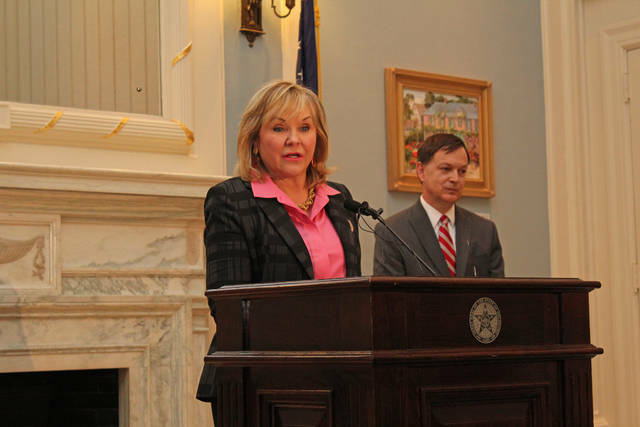 Mary Fallin, i2E Inc. and seven state partners have begun a program designed to boost and diversify the state’s rural economies, the groups announced Monday. Backed by a $200,000 federal matching grant, GrowOK will begin this spring with a curriculum designed for rural communities and American Indian entrepreneurs. The program is a partnership between nonprofit high-tech business incubator i2E, the Cherokee Nation, Choctaw Nation, Chickasaw Nation, Muscogee (Creek) Nation, Oklahoma Business Roundtable, the Oklahoma Center for the Advancement of Science & Technology (OCAST) and Rural Enterprises of Oklahoma Inc. The U.S. Economic Development Association (EDA) awarded the grant in November. The GrowOK curriculum is designed to challenge rural and Native American entrepreneurs to identify their customers and determine whether their concept solves a true market need, Meacham said. The program also will provide another tool for the tribal small business development organizations to bring in outside expertise and create a business growth opportunity for their members, he said. The first GrowOK class is expected to launch next month in Ada. Read full article on NewsOK.